I’ve been in the HubSpot partner agency ecosystem for over a decade, first as an agency owner and now as IMPACT’s VP of Marketing. In that time, I have worked with hundreds of companies to develop their inbound marketing strategies and optimize their use of HubSpot and I have seen the full spectrum of agency-client relationships, from the good, to the downright bad and ugly. Problems are bound to occur between agencies and their clients and in this article, I break down five of the most common ones. But first, why do companies work with HubSpot partner agencies? Why Work With A HubSpot Partner Agency? If your company is using HubSpot, working with a HubSpot Partner Agency can be an effective - and quick - way to ensure you are using the tool properly and getting the most from your investment. 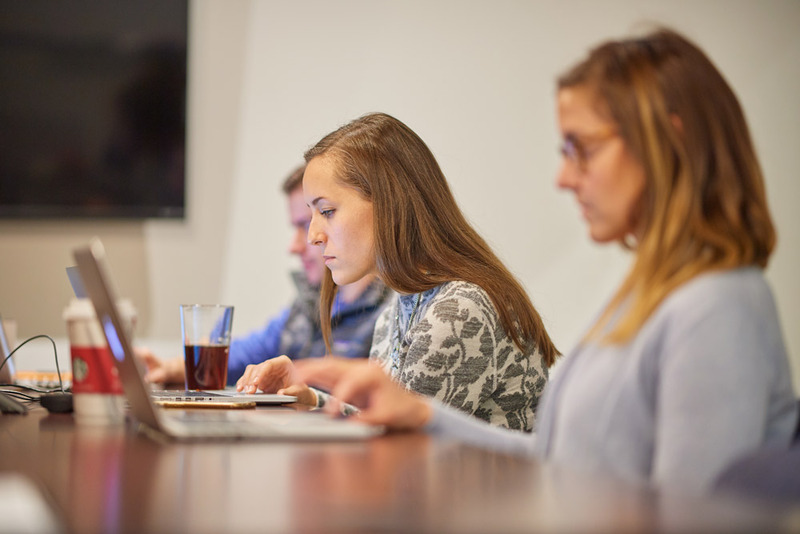 HubSpot’s official marketing agency partners must pass a series of certification programs and must themselves be users of HubSpot’s software tools. Once they are accepted into the agency partnership program, they gain access to a dedicated customer success manager, specialized training and support, and information about upcoming product releases. For agencies that are serious about their partnership with HubSpot, staying up to date with HubSpot’s features, functionality, and best practices literally IS their job and a tremendous value add for the clients with whom they work. The same can be said for staying up to date with inbound marketing best practices. While there are many benefits of working with a HubSpot partner agency, there are also some potential pitfalls. As of the time I’m writing this article, there are more than 2,700 HubSpot partners throughout the world, and that number is growing rapidly. You can find a complete list in the HubSpot Partner Agency directory. With so many partner agencies to choose from, it should come as no surprise that their degree of experience with HubSpot and their level of expertise varies considerably - as do the experiences their clients have when working with them. Having said this, there is no “perfect” HubSpot partner agency - only the right agency for you. While some agencies bill themselves as “full service,” others have specialized areas of expertise in things like website design, social media, content creation, integrations, etc. Some follow agile practices, while others employ waterfall project management techniques. Some use point pricing, and others charge by the hour. Some have very serious cultures while others are more laid back and playful. When choosing a partner, it's important to start by understanding your goals and objectives, how you prefer to work, and what kind of company culture is the best fit for you. In my experience, even when you feel you’ve picked the perfect agency, problems still inevitably occur. I liken it to marriage. Just because you’ve found the “perfect” guy and you’ve gotten married doesn’t mean there won’t be bumps in the road. And just like a healthy marriage, it takes two committed partners to work through those problems and build a strong and positive agency-client relationship. That being said, here are five of the most common problems I've seen come up when companies work with HubSpot agency partners. The vast majority of HubSpot partner agencies work with clients on a monthly retainer basis. The amount of the retainer is generally determined during the sales process and is based on the client’s goals and the resulting scope of services. In my experience, most retainers range from $3,000 to $10,000 per month. The problem with this approach is that priorities change. For example, in November of 2017, when I was on IMPACT’s sales team, I closed a deal with a company that came on wanting outsourced inbound marketing services, with an emphasis on social media management, content creation and lead nurturing. Within two months of signing their agreement with us, they acquired another company and needed us to help them merge those two web presences into one and create a single, streamlined marking strategy for the new company. A smaller example of this same thing is when you want to do a video or Facebook ads or a brochure design - or when your agency recommends you purchase a particular software package. These are small changes that need to happen, but are not included in your original scope. In a typical retainer, where there is a fixed scope of work, making the pivots I described above would normally mean a change of scope and/or price increase. All of these little increases add up and because most companies budget in advance for the amount they plan to spend on agency services, they can be very difficult to swallow (and are therefore an unnecessary source of friction in the agency-client relationship). The way many of HubSpot’s top agency partners have dealt with this challenge is to move to an agile framework wherein the client signs an agreement committing to a certain volume of work per month (expressed as either hours or points), but with a flexible scope of work that is updated continuously throughout the relationship. This approach accommodates clients’ shifting priorities while protecting agencies from scope creep and offering both parties a greater degree of transparency regarding what work is getting done and how much the client is paying for it. Another common solution is for agencies to enter into a fixed monthly retainer while at the same time setting the expectation with clients that they should have an “extras budget.” This is an additional amount, on top of the retainer, that can be drawn from to fund the little projects that inevitably pop up throughout the life of the retainer. I have lost count of the number of times I’ve been asked “how long should I expect it will take before I see results from my inbound marketing”? Yes, it’s true that the “traditional” approach to inbound marketing, wherein you blog consistently and wait for the organic traffic to come ("if you build it, they will come"), can take six months or more to produce results. But these days, there is no reason that your agency should be relying on the traditional approach. There are plenty of tools available that any company can use to see results fast, including paid media (Facebook ads, for example), co-marketing partnerships, sponsorships and more. There is also quite a bit of evidence that even the “traditional” approach can work quickly - if your sales team embraces the content you’re creating and uses it to shorten the sales cycle. The best way to get fast results is to start by creating really useful content. IMPACT’s own Marcus Sheridan wrote the blueprint for this in his book They Ask, You Answer and it is the formula we’ve followed time and time again for our HubSpot agency clients. The short version of his longer story is that your content should answer the questions your customers are asking, and your sales team should use this content in the sales process. Do this, and you should see results fast. And if you really want to make magic happen, layer on some paid media to give your content a boost and get it in front of a wider audience. And if your agency is telling you it will take six months or more to see results, it might be time to look for a new agency. Earlier in this article, I likened the agency-client relationship to marriage. Well, if this is a marriage, then your spouse would be the agency account manager that is your day-to-day point of contact. This is the person with whom you will work most closely in the agency - the one who gets to know your business and with whom you share your fears, challenges, and problems. You’ll most likely spend between 30 minutes and an hour a week on the phone (or on a video call) with them and with a good agency, you’ll develop a deep relationship grounded in trust and mutual understanding. The problem is that turnover is almost inevitable. A recent Gallup report found that 21% of Millennial workers say they’ve changed jobs within the past year and 60% of Millennials report that they’re open to new job opportunities (compared to 45% of non-Millennials). The workforce is becoming increasingly transient and marketing agency staff are no exception. Odds are, you will experience turnover in the agency team with which you work at least once (if not more) during the life of your engagement. Sometimes this turnover is the result of that person leaving the agency for another job, while in other cases it is due to a promotion. Either way, turnover - when handled poorly - can be very disruptive to the agency-client relationship. You can’t prevent turnover from happening, but you can mitigate the impact it has on the agency-client relationship and prevent it from disrupting the flow of work. There are a few ways to do this. From the client’s perspective, some companies protect themselves from issues relating to turnover by working with larger agencies that have a deep bench of experts. In this case, when one account manager leaves, there are other equally, if not more, qualified team members available to take their place. But bigger isn’t always better and smaller agencies can solve for turnover by ensuring each client works with a team. That might mean you meet with an account manager on a weekly basis, and then also have access to a higher level strategist who meets with you monthly to review progress and develop project roadmaps. This kind of structure ensures that there is more than one person within the agency who understands your business and is familiar with your account. Many companies looking to hire HubSpot agency partners do so because they want to outsource the creation of their marketing content, including blogs, videos, ebooks, webinars, infographics and more. Often they do this because they struggle to find the time to produce content in-house. The challenge with outsourced content creation is that it is very difficult for someone outside of your business to fully capture the level of expertise needed to create content that effectively answers your customers’ questions AND differentiates you from the competition. If you’re giving your marketing agency a list of blog topics and then expecting them to go off and write articles, they are more than likely going straight to Google to research the topic. If the article they produce for you is based on information available on Google, it is - by definition - nothing new. And if this is the approach you’re taking with your inbound marketing, you’re not going to see results. Period. End of story. I’ve seen it time and time again and every time the outcome is the same. There are only two ways to create really great inbound marketing content that gets results. One is to create it yourself in-house, and the other is to have your agency conduct in-depth interviews with your subject matter experts and then turn what they learn in those interviews into articles. Any other solution just isn’t going to cut the mustard. If you’re working with an agency that is producing content for you without doing in-depth interviews AND you’re not getting results, this is most likely the cause. As I mentioned earlier, even when you work with the best HubSpot partner agencies, there are bound to be problems. In the best case, those problems are solvable, and in the worst, they might need to end in divorce (back to that marriage analogy 😉). The terms and conditions of HubSpot agency partner contracts vary widely, from month-to-month agreements that can be canceled at any time (generally with 30 days notice) to 12 month contracts with early cancellation penalties and auto-renew clauses (what I like to call the “Gold’s Gym” approach). There is nothing worse - for the agency and the client - than being stuck in a relationship that clearly isn’t working. Things are bound to turn ugly and it will only get harder to work together in a productive way. In my experience, there is no reason that agencies should require clients to commit to long term contracts for marketing work. That’s why, when I owned my own HubSpot partner agency, we worked with our clients on a month-to-month basis. IMPACT is the same way. If you want out, you should be able to get out. Period. Agency-client relationships are a two way street. Just like marriages (yup, I'm back on that again), it takes two committed partners to make things work. In the five sections above, I've outlined a number of problems you might encounter when working with a HubSpot partner agency, and most of these are agency-related. I would be remiss if I didn't add that sometimes you as the client might be contributing to the problems. I've learned a lot about what makes for a successful agency-client partnership (I'm using the word "partnership" deliberately here). It starts with a thorough discovery process on the front end to ensure your agreement and scope are focused on the things that will deliver results. It requires clear, honest and respectful communication between both parties, along with a commitment to following through. Every agency is different and will have different expectations of their clients. If the agency you are working with hasn't clearly outlined what they expect of you, that is a red flag. Here at IMPACT, we define very clearly how much time a client has to provide us with comments, edits or feedback on our work; how many rounds of revisions they will get; what our meeting cadence is and who is expected to attend; how much content we need our clients to produce and on what schedule; and more. We're clear about this because we've seen that follow through on these things is key to our ability to get results and to help our clients achieve their goals. If you enter into a partnership with a HubSpot agency partner, make sure you ask what you need to do to make the engagement successful and be prepared to follow through. After all, it's your money that you are investing. Nobody's perfect and if they tell you they are, they're probably lying. Agencies that claim to have everything figured out are putting on a great front. Believe me - it's a small community and I know most of these agencies. We all make mistakes. It's how you own up to them and what you learn from them that matters. When evaluating HubSpot agency partners, ask them about the problems they've encountered with clients. The answers you get will speak volumes about the one thing that matters most in these types of relationships - trust.